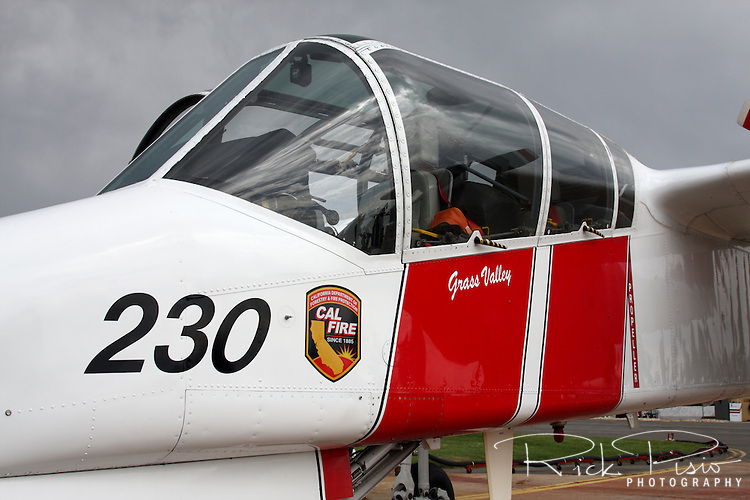 Grass Valley based California Department of Forestry and Fire Protection OV-10 Bronco. CalFire utilizes the North American Rockwell built OV-10 Bronco as a lead-in aircraft for the air tankers as well as an aerial platform from which the entire air operation is coordinated. The CAL FIRE Broncos fly with a crew of two, a pilot and the Air Attack Officer, whose job it is to coordinate all aerial assets on a fire with the Incident Commander on the ground.